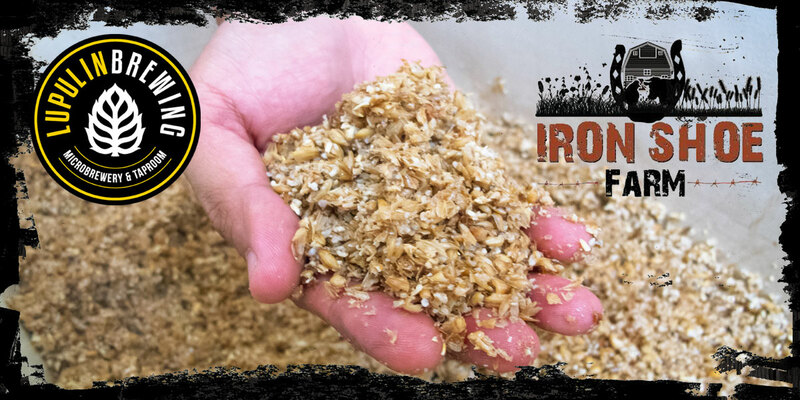 Lupulin Brewing is excited to announce a partnership for the recycling of the spent grain from the brewing process with Iron Shoe Farms, Carla and Dave Mertz, located in Princeton, MN. This is a unique partnership in which both companies work to go full circle from the barley field, to brewery, back to the farm for grazing animals as feedstock and eventually the products of our labor are paired together at a local restaurant. The opportunity lends itself to be a great example of two businesses working together with a common goal of sustainable environmental practices. Iron Shoe Farms will be hosting a Harvest Hoe-Down on Saturday, October 6th from 3-7 pm with food by chef Jamie of Rockwoods and locally crafted beers. For tickets go to Event Brite. Lupulin Brewing is a craft brewery and taproom in Big Lake, MN. Lupulin’s brewing philosophy is to create rich, full flavored beers with particular focus on hop forward and Belgian styles. Lupulin Brewing is located on US Highway 10 in downtown Big Lake, MN, and can be found online at www.lupulinbrewing.com , on Twitter (@LupulinBrewing) and on Facebook. Iron Shoe Farms, established in 2013, is a 65+ acre farm located in Princeton, MN. Family owned and operated while providing naturally raised, pasture-fed hereford beef, pasture raised mangalista and heritage hogs, chicken, free-ranged eggs, muscovy duck and microgreens! Iron Shoe Farms serves both Elk River and Princeton Farmers Markets during market season in addition to growing business within local restaurants and executive chefs throughout the Twin Cities metro and Central Minnesota. More information is available online at http://www.ironshoefarm.com or socially on Facebook.